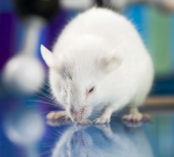 There are over fifty million lab mice used each year for various tests and studies. If you work in a lab, then you surely know how important it is to keep track of all these little creatures. 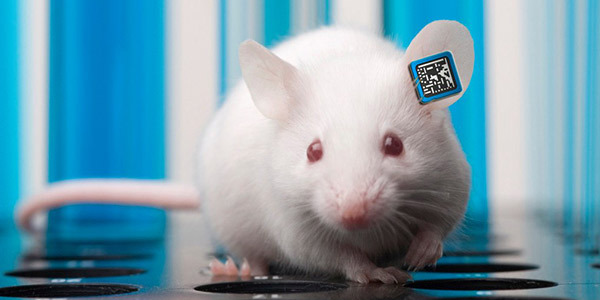 The most common lab animal ID methods in recent years have been RFID tags and metal rings. Each has proven a beneficial way to identify lab animals, but each is riddled with drawbacks as well. RapID Tags® are designed to exceed both methods in efficiency, and eliminate any complications that are presented by these previous tactics. Metal ear tags are widely available, and come in a variety of options such as paint filled numbering, or laser etching. They snap through the tissue of the ear, and are secured by jamming the puncture end through a small hole. However, the drawbacks here are numerous. First, and foremost, the identification is not unique. A batch of these is usually numbered 001 to 100, and goes up to 5,000. Unique ID numbers are going to run up the price tag dramatically. Tissue reactions to the metal often lead to Infection, which is not only harmful to the animal but also eliminates any ability of reuse. The "point" side is more of a pinching clip that acts as a wedge in the ear, and has no real anchor to hold it in place. Thus, there is the probability of lost tags. Perhaps the largest drawbacks to these devices are their inability to be scanned, and their how terribly indistinguishable they are. Besides the numbering on these one centimeter rings, each and every mouse ear tag looks entirely the same. The time it takes to pick up each rodent and squint to read their number is time that could be spent on other areas of the research. Given the common tissue reaction, and probability of loss, this method is worse and equally as tedious as tattoo identification. Furthermore, test animals must be disturbed each time they need to be identified, as they are far too alike to distinguish. RapID Tags eliminate many of these complications created by the use of metal tags. The attachment system is far more secure, and the medical-grade advanced polymer material does not cause tissue reactions. In shape, they are more like a true piercing, cylindrical as opposed to wedged, and fasten to the separate piece behind the ear. They are easily removable, and their ability to be autoclaved ensures a non-contaminated re-usability. Their defined point makes the process of puncturing less painful, and they are incredibly lightweight. Virtually indestructible, there is no damage or loss from chewing. Identification is made vastly easier in many ways. First, they come in an array of colors to distinguish litters and lab animal test groups. Secondly, the matrix barcode allows for millions of unique ID numbers, and automated data collection. 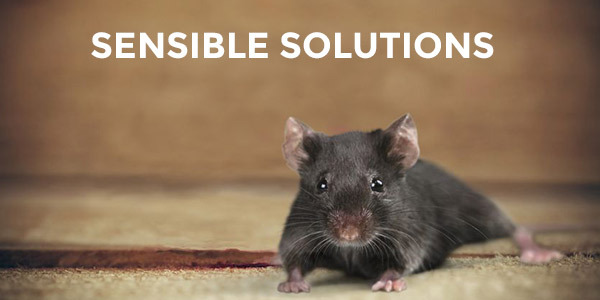 Cost is saved by eliminating manual errors such as misread tags that can lead to wrongly administered treatments, and having to replace compromised animals. They are able to be scanned without disturbing the creatures, saving valuable time for researchers and the study as a whole. Furthermore, these tags are MRI compatible, increasing the range of tests that can be performed. In the age of technology, there is no need for archaic identification methods such as metal tags. RFID chips have been on the rise in laboratory use, and are continually upgrading from previous models. Though they are better than gathering information by hand, they are not without their major flaws. First, training is required for implanting. Mostly they require invasive surgery to install within the animal, which comes with a slew of complications in and of itself, as well as the cost of training for employees and anesthesia. Usually around the size of a grain of rice, these devices sit inside the test subjects, and are read using scanners that vary wildly in price. The chips themselves are incredibly expensive, especially once every rodent has one, and though the scanners offer different reading ranges they often need to be right next to the animal in order to get an accurate reading. 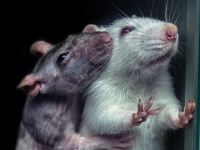 Some of those offered on the market are not recommended for rodents to begin with, and studies have shown adverse, long-term reactions such as cancers that could compromise the integrity of the research being conducted. While they are uniquely identifiable, their re-usability can be lost during the animal's lifespan, and they are not impact resistant. 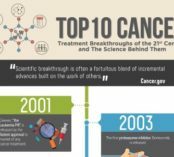 This causes the problem of damage which leads to loss of the device, damaged or compromised test subjects, and possibly another surgical procedure. All of that is simply time, and money, wasted. While more advanced, RFID chips still fail to be MRI compatible, and are not visually identifiable. Where the RFID tag falters, the RapID Tags excel. There is minimal training needed, nor anesthesia, saving cost immediately. They are non-invasive, making them more humane. RapID Tags are easily read using a light scanner, and is far more accurate. The RF transmitters used to read RFID chips are very costly, as are the chips themselves. Not only is the light scanner more cost efficient, the tags cost a fraction of the price when compared to the chips. RapID Tags are completely MRI compatible, easy to attach and remove, and offer instantaneous data collection. There are no adverse reactions to worry about with the biologically-inert polymer and they can be identified visually with their varying colors. All of these benefits make our tags financially sensible when compared to their opposition. 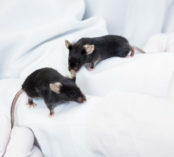 Funded projects will find an incredible amount of savings from labor cost to identification time, all while using a method that is better for the test animals involved. Not only are RapID Tags more humane than other methods, it is also immensely more practical for laboratory research. It is the most accurate and easiest lab animal ID to apply, scan, remove, clean, and use again. More durable than its' competitors, and more cost friendly, the debate is easily settled over whether this tag stands superior when stacked up against the opposition.